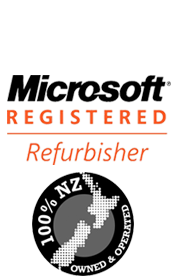 We provide pickup service for more than 5 items Auckland wide included mixture of a : Laptops, PCs, Servers, Full-size Networking Server Routers/Switches, or LCD Screens. If you want to drop off CRT TVs, please set up an appointment with us before coming. A small fee of 25$/CRT will be charged for this item due to high recycling cost. For pickup please fill the details below and we will contact you shortly. **FREE PICKUP: Minimum 5 items, must included mixture of a : Laptops, PCs, Servers, Full-size Networking Server Routers/Switches, or uncracked LCD Screens. All items must be complete to be eligible. **Free pick-ups on next available day only. If you would need urgent service, please feel free contact us. **Client assistance may be needed to move heavy items to the collection vehicle on request from our staffs. **If possible, please put small items into boxes.